The city of St. George, located in southwestern Utah, is a lovely historic city with roots in the days of the American pioneers. It is surrounded by many gorgeous bits of nature, including Snow Canyon State Park and the famously beautiful Zion National Park. In the city itself, visitors will find a charming downtown area full of history, museums, art, and culture, as well as some delicious food and excellent shopping. There are several tour companies that can customize the perfect trip to southern Utah, and even some that can provide a view from above in a hot air balloon. Downtown St. George personifies the city as one full of history and culture. Here, there are art galleries, museums, historic homes and buildings, and plenty of shopping and food. From May until October, visitors can check out the Downtown Farmer’s Market for some local fare, while the Painted Pony Restaurant is well known for its delicious food throughout the year. Boutique stores, local art studios, and a number of museums round out the experience downtown. 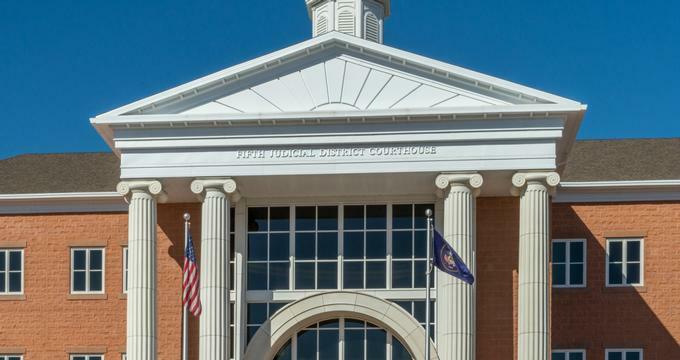 Whether or not visitors are looking for something specific in downtown St George, a stroll through the sidewalks is sure to put a smile on their faces. 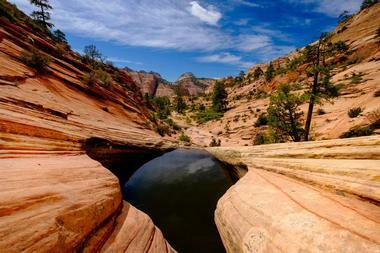 The sheer red cliffs of Zion Canyon personify this beautiful national park. At about 230 square miles in size, seeing all of Zion in one trip is near impossible, but even a glimpse of the colorful sandstone cliffs, resplendent in shades of red, pink, orange, and creamy white, are enough to evoke feelings of awe. Zion National Park is home to a wide variety of beautiful hiking trails, which vary in difficulty from a short stroll to a multi-day excursion, and camping is also available within the park. Visitors can go backpacking, ride horses, kayak, hike, climb, and go canyoneering within the park, though many of these activities require a permit. 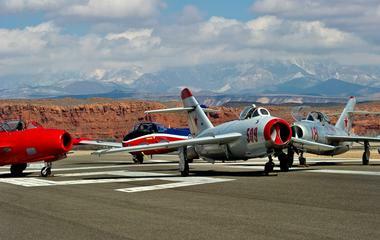 The Western Sky Aviation Warbird Museum is an aircraft museum located in a large hangar. There are a number of mid-20th century aircraft at the museum, which have seen service in the Korean War, World War II, the British Royal Air Force, and as training jets for the military. Each aircraft on display is associated with an educational exhibit about the specific features on that plane, the time period it was used, and more fascinating information. Admission to the Western Sky Aviation Warbird Museum is free, but there is a suggested donation of $2 per guest, or $5 for a family. The museum is open Wednesday through Saturday from 10am until 4pm, and open on Mondays and Tuesdays by appointment only. The McQuarrie Memorial Museum, more commonly known at the Daughters of Utah Pioneer Museum, contains a large collection of artifacts and history from the pioneers and early settlers of Utah. 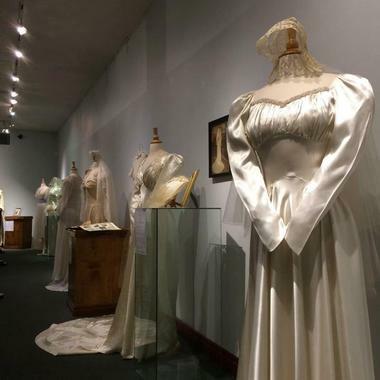 The St. George region was first settled in the mid-1850s by pioneer Brigham Young, and this museum honors the story of that settlement and all the developments that followed. On display in the museum are relics, clothing, and tools that people used in daily life, such as aprons, bibles, blankets, and even nail clippers. There are plenty of outdoor and farming tools, such as axes, blacksmith equipment, and plows, that were used by pioneers, and also many personal letters and stories of the individuals who bravely left everything they knew to start a life in an unknown place. Jacob Hamblin was a pioneer and Mormon icon who founded the city of Santa Clara during the mid-19th century. He was well known as a friend of the local Native American people, and he and his large family resided in this two-story brick house. 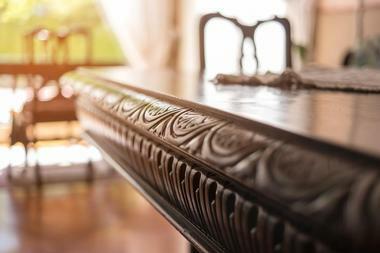 Today, visitors to the Jacob Hamblin home can explore the interior and exterior, which is furnished much like it would have been when Hamblin and his family lived there, to see how pioneer families lived during the 19th century. Guided tours will show visitors where the Hamblin family ate and slept, how they dried fruit and grew their own food to provide for themselves, and much more. Brigham Young was a Mormon icon, a pioneer who brought Mormon settlers to Utah. In the final winters of his life, he lived in this house in St. George, a two-story brick structure with a wraparound porch and balcony as well as a white picket fence and set in a peaceful neighborhood. Admission to the house is free, and experienced guides will show visitors around the home, teaching about Brigham Young, his impact on the Mormon religion, and the historical significance of the house and furnishings. The house is open from 9am to 5pm during the winter season, and until 7pm during the summer. On Sundays, the home opens at 1pm. Kayenta Art Village, also known as Coyote Gulch Art Village, is a community of art galleries, cafes, gift shops, and studios where artists and appreciators of art can come together. With a location as beautiful as this, it’s not difficult to imagine where some of the artists in the community draw their inspiration. Ceramics, paintings, sculptures, and so many other forms of art are all on display at Kayenta Art Village, and many of these masterpieces are also for sale, so anyone looking for a unique souvenir or conversation piece to take back home should absolutely check out this community. 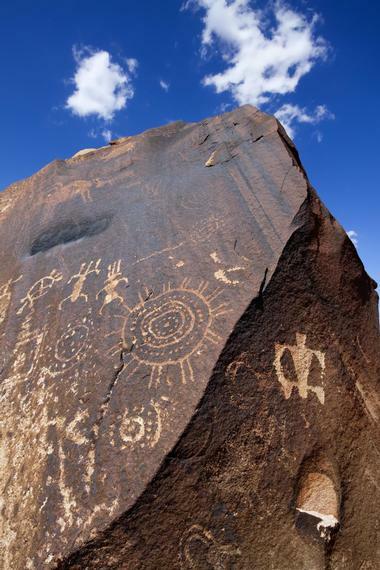 The Little Black Mountain Petroglyph Site is located just south of the border between Utah and Arizona. A short and easy hike of about 1 mile around some of the massive sandstone rock formations at the site will weave visitors through a maze of stone, and everywhere in the area there are stunning ancient petroglyphs on the boulders. The history of the petroglyphs aside, Little Black Mountain offers a good opportunity for visitors to St. George to experience some of the gorgeous nature in the area without committing the time or effort to a larger park or longer camping or hiking trip. What better way to gain a full picture of the sandy desert and rocky canyons of Utah than from above? 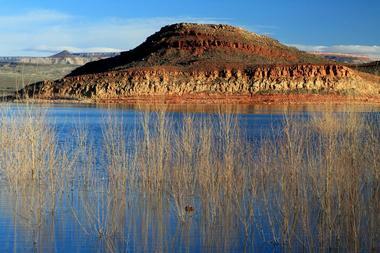 With Palledin Balloon Excursions, visitors will have the opportunity to see Utah from the basket of a hot air balloon. 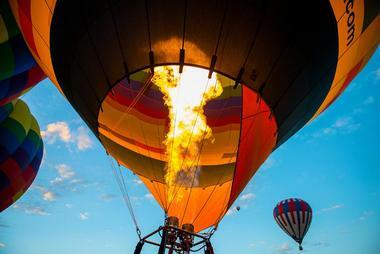 They will see the southern Utah landscape with a bird’s eye view as they soar above the ground with an experienced crew, who will point out landmarks and other points of interest as well as impart facts about piloting a hot air balloon along the way. Guests will receive the full experience of a hot air balloon ride, including helping to set up, inflate, and deflate the balloon before and after the ride. 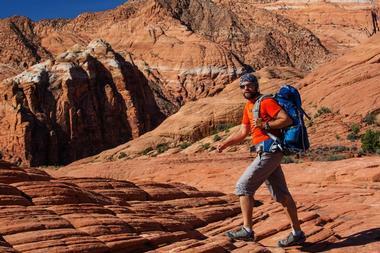 Paragon Adventures is a tour agency in St. George that offers adventure experiences for guests. 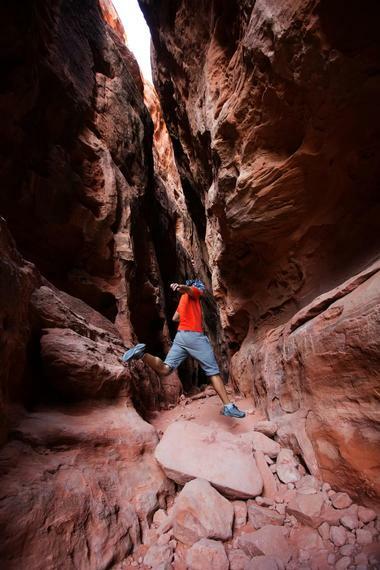 Hiking, climbing, mountain biking, and canyoneering are just some of the services that Paragon Adventures will guide its guests through, and every tour takes place in the beautiful Utah wilderness. There are family programs for canyoneering, ziplining, and rock climbing so that kids can take part in an adventure-filled experience under the watchful eye of safety-trained staff. Paragon offers caving, rappelling, ATV, and even overnight trips, so everyone can find something that appeals to them. The grand centerpiece of Quail Creek State Park is a 600-acre reservoir, where visitors can go swimming, boating, or fishing. At the edges of the lake, craggy red rocks rise up on all sides, underneath a blue sky that matches the water beneath it. Fishers at Quail Creek Reservoir can try their luck at catching some of the rainbow trout, crappie, and bullhead catfish that are stocked in the water, which reaches depths of 120 feet. Visitors can also rent a stand-up paddleboard or kayak for a relaxing day out on the water. 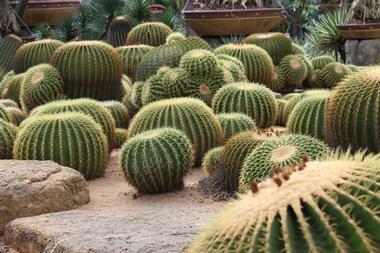 At 5 acres, Red Hills Desert Garden isn’t very large, but within the grounds of the garden there are over 5,000 unique species of desert plants growing and thriving. The well-marked trails will lead visitors around the well-organized and beautifully landscaped garden, where they can leap from stepping stone to stepping stone across a meandering stream that bisects the garden, and view informational plaques about the plants seen there. There is also an exhibit where guests can learn about species of fish that can be found in the Virgin River. In the Rosenbruch World Wildlife Museum, animals of every continent are represented in lifelike dioramas, depicting them each in their natural habitats. Almost all of the animals were donated from the personal collection of Jimmie C. Rosenbruch and his family, all avid hunters who sought trophies all over the world. 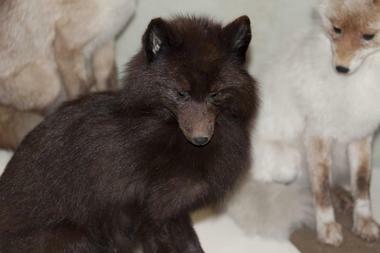 The taxidermied animals they hunted are now on display for all to see. Each diorama is narrated for guests via an electronic audio tour guide, who teaches visitors about the animals on display and their habitats and tells stories of Rosenbruch’s adventures. Sand Hollow State Park, located near the town of Hurricane, is one of the newest state parks in Utah and also one of the most popular. The red rocks and sandy dunes in the park make it a popular destination for mountain bikers and those who enjoy ATVs or off-road vehicles. Equestrians can even bring their horses to Sand Hollow State Park, since the diverse trails and soft sand are well suited for a trail ride. 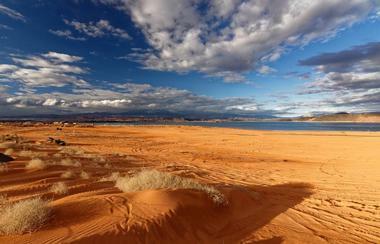 Sand Hollow Reservoir, a massive body of water, offers a great spot for boating, fishing, swimming, kayaking, or paddleboarding, and the Utah sun beating down on the lake makes the water just that much more refreshing. The Sears Art Museum Gallery, part of Dixie State University, displays a rotating array of exhibits, each year showing about five exhibits. The styles on display here are intentionally all of very diverse and varied styles of art, from the very traditional to the experimental and contemporary. 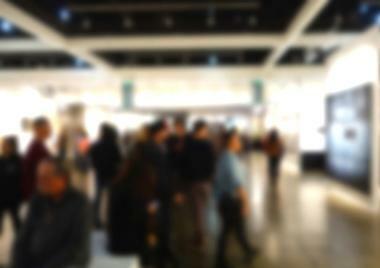 Each year in February, the Sears Art Museum Gallery is also home to the Sears Dixie Invitational Art Show and Sale, a popular event that features 100 regional artists, both students and professionals. The gallery is open Monday through Saturday from 10am until 6pm, and on Sundays from 2pm until 6pm. Yet another flawless example of the stunning beauty in the state of Utah comes from Snow Canyon State Park, a place named for two prominent Utah pioneers, Lorenzo and Erastus Snow, not because of the weather. In this 7,400-acre park, which consists of sandy dunes and massive red sandstone cliffs, a huge canyon is carved out in the ground. 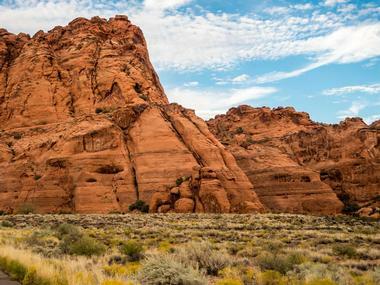 Visitors can explore Snow Canyon State Park on foot, by bike, or on horseback, along over 38 miles of hiking trails and 15 miles of equestrian trails. There is an abundance of desert life in the park, and keen-eyed visitors might spot a Gila monster sunning itself on a rock or a peregrine falcon diving for its prey. 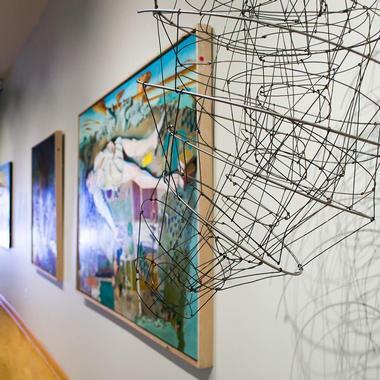 At the St. George City Art Museum, located in downtown St. George, art is displayed from a wide swath of cultures and styles, and there is also a large presence from local and regional artists. 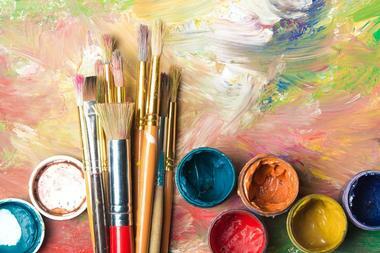 A tour of the museum, which can be scheduled ahead of time either via phone or online, will reveal some of the most fascinating pieces in the museum’s collection, and lots of history and stories about the works on display and the artists who made them. The museum hosts numerous of events throughout the year, including classes, lectures, and fundraiser events. The St George City Art Museum is Monday through Saturday from 10am until 5pm, and on Thursdays the museum is open until 8pm. Unlike other museums, where the exhibits are locked away behind a glass wall or shut into a display case, the St. George Children’s Museum encourages its visitors to touch, feel, play, and interact with all of its exhibits on display. 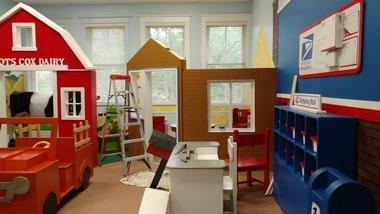 There are twelve rooms in the museum, and each one is dedicated to teaching kids about something different. In the Farm Room, for example, kids can learn about milking cows, collecting eggs, and so many other aspects of life on a country farm. In the government room, a voting booth allows kids to learn about democracy, and in the prehistoric room, kids can see and touch life-sized dinosaur footprints, fossils, and more. 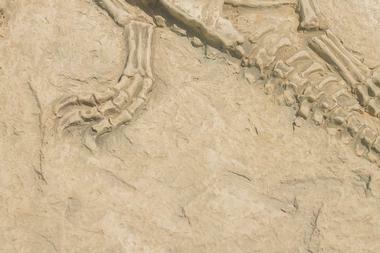 At Johnson Farm in St. George, visitors will find the Dinosaur Discovery Site, a place where real fossils have been discovered. The sandstone fossils show prehistoric fish and plants from a lake that once existed in the area, as well as real dinosaur footprints, all of which date back to 200 million years ago. Life-sized models of dinosaurs and other prehistoric animals help to paint the scene and allow visitors to really imagine the creatures that once roamed the earth. A children’s exhibit, called Dino Park, offers kids the chance to dig for fossils, follow dinosaur footprints, and play on a life-sized replica of a dinosaur. When the members of the Church of Jesus Christ of the Latter Day Saints were forced from their church in Illinois, they ventured West and eventually resettled in Utah. 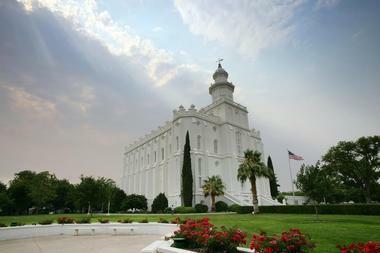 The St. George Utah Temple was the first church that the Mormons built as their own after they settled. 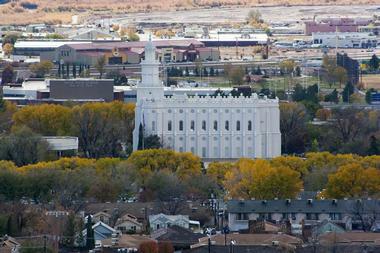 Since 1877 it has stood as a beacon to those of the Mormon religion, with church services offered several times a day. The church has a visitors center, which is open to the public, but the church services are for members only. With a round trip length of 2.21 miles, terrain that’s fairly easy to traverse, and scenery that is downright gorgeous, the St. George Temple Quarry Trail is an easy and lovely hike for visitors to St. George looking for an outdoor excursion. 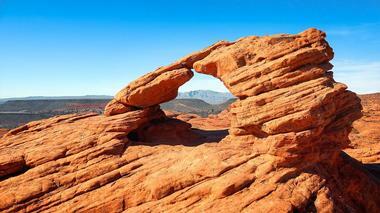 The trailhead is only 2 miles from the city of St. George, and the hike takes an average time of about 1 to 1.5 hours. The area was once a quarry where pioneer workers took materials for the construction of the St. George Temple, and the large fields of hewn black lava rock, set in stark contrast to the red dirt of the ground, are still prevalent today. Fio Antognini is a talented chef from Switzerland who loves to get creative with the food he makes. Visitors and guests can schedule a private dinner with Fio, where they can choose to eat at the edge of a beautiful rocky canyon during sunset, or have delivered a specially cooked lunch to eat during the day’s activities. 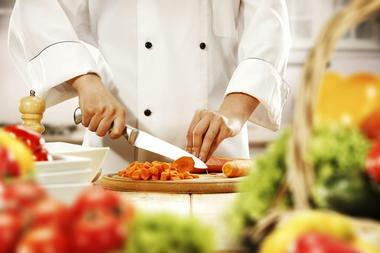 Fio and his wife Lisa also host private cooking classes, and guests can join them in their private kitchen to help create a culinary masterpiece. Fio also offers customized culinary tours, in which he will take groups around the area to try some spectacular foods, drinks, and other specialties in St. George. 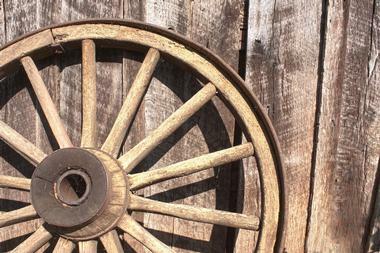 Happy Trails Adventure Company offers chartered transportation and tours to some of the most beautiful sights in Utah. Guests can choose from scenic tours, adventure tours, wild wild west tours, exclusive tours, or national parks tours for a look at some true Utah beauty. With the Epic 5 Package, guests can see five national parks: Zion, Bryce Canyon, Arches, Canyonlands, and Capitol Reef National Parks, all in one trip. Other specially requested adventures include learning how to camp or backpack, learning how to take beautiful photographs of nature, animal watching, and finding Native American petroglyphs. Tours and adventures can be booked by phone or by email. All guests have to do is tell Southern Utah Scenic Day Tours what kind of a trip they’re looking for and the company, with its skilled and experienced staff, will take it from there. Southern Utah Scenic Day Tours can plan any number of excursions, from a scenic photography day tour to a 9-day trip that will take visitors to seven national parks as well as a number of other natural attractions. For the adrenaline junkies out there, the company can also plan an adventure tour, which can include rock climbing, canyoneering, caving, rappelling, Jeep tours, or ATV tours. Judd’s General Store is an old-fashioned shop located in a vintage retail space, complete with a tall, frontier-esque facade in front. 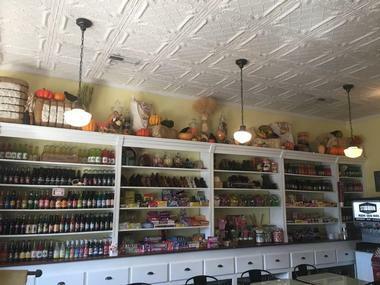 Inside the store, customers can find old fashioned candy, ice cream, and sodas, displayed on wall to wall, floor to ceiling shelves, giving the whole shop an air of yesteryear. Kids will love picking out candy from the colorful displays of old fashioned confections, and once they’ve made their choice, customers can take a seat at one of the tables in the small space to enjoy their treats. Judd’s also offers some lunch options, and locals in St. George swear by their soup and breadsticks.